Harpeth Rising – three young women musicians from all over the North American Continent – brought the house down at Llantrisant Folk Club with a stunning array of cracking songs, intelligent humour, breathtaking arrangements and harmonies to die for. Violinist Jordana Greenberg really stood out with her sweet and strong voice, banjo picker Rebecca-Reed-Lunn filled out the instrumentation with a solid, chunky sweetness and Maria di Meglio delivered shivery and absolutely beautiful sounds from her ‘cello. The percussive beat of kick-drums and cow-bells just added to the party. Together, Harpeth Rising were fabulous, nourishing mental soul food. 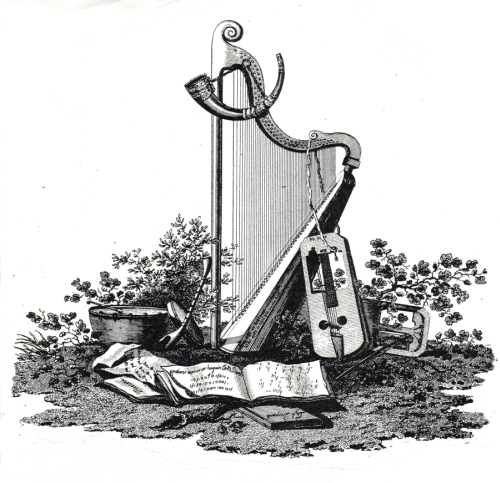 The name Harpeth Rising has nothing to do with harps – although, according to Jordana’s introduction, quite a few people were hoping for just one harp. They came away impressed, delighted and full of admiration for Jordana’s, Rebecca’s and Maria’s sparkling innovation. The name comes from the Harpeth River in Tennessee; Jordana, Rebecca and Maria used to be based in Nashville, but now they have moved to Louisville, Kentucky. The roots for the trio go back to when they were classical music students at Indiana University, coming together to play bluegrass at the many sessions. They ‘came of age’ when they decided to form a trio. Canadian songwriter David Greenberg is Jordana’s father, and Harpeth Rising’s set used to be centred on his material; and it was David’s songwriting that really influenced them. 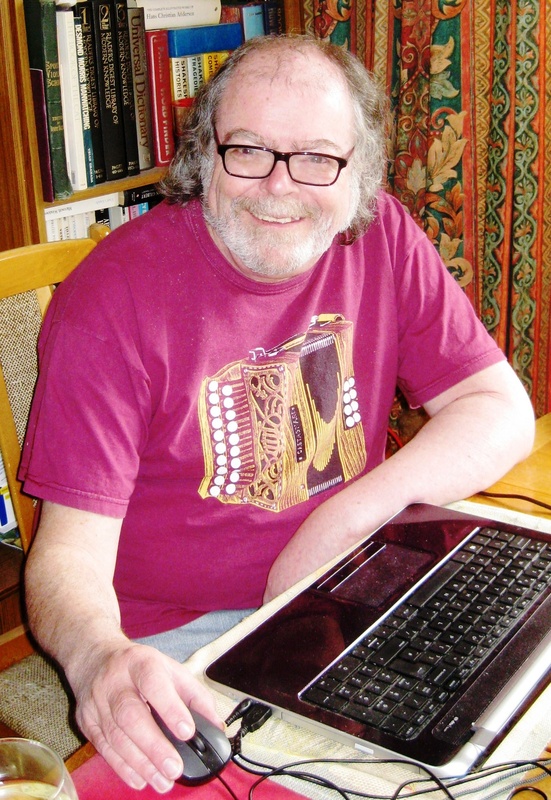 They started writing their own songs, and David had to take a back seat in their programme; however, they save their new albums for one or two of his best songs – such as ‘The Raid’, which they were playing on the tour promoting their latest CD, Shifted. Harpeth Rising’s two sets are a whirlwind of musical delights, and their repertoire reflected just how they came together. Jordana was born in the Canadian province of Ontario, and she began her violin studies when she was just eight years old in Indiana University. She toured the US, Canada, South and Central America, France and Japan as a 17-year-old solo violinist with the University’s symphony orchestra. Her classical training, mixed with many bluegrass sessions in rural Indiana, have shaped her playing into a unique style. Rebecca comes from the Californian town of Davis and grew up listening to Mahler, Edith Piaf and Bob Dylan. She taught herself banjo from Pete Seeger videos while studying viola in graduate school in Indiana University – and she was even Miss February in the 2012 Women Of Banjo calendar. ‘Cello teacher Maria comes from the Italian community in Brooklyn, New York City, and has recently completed her Master’s Degree at Indiana University; she told the audience that Brooklyn’s ultimate hero is Frank Sinatra, and the trio obliged with an audacious hit song by Frank’s daughter, Nancy Sinatra, ‘These Boots Were Made For Walking’, which was chock-full of fun-filled and gleeful arrangements. 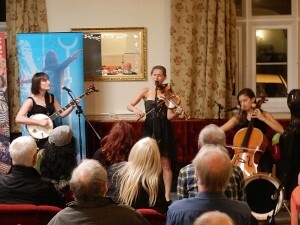 Harpeth Rising mix a heady blend of folk, newgrass, rock and classical into a brilliant fusion that can’t be beat. Tender virtuoso violin solos rise above Andrews Sisters-like voices, and they break new ground every time when they explore those classically-influenced riffs. 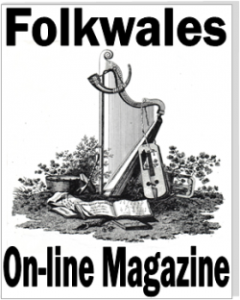 There’s a Shifted critique in CD Reviews in this edition of FolkWales Online Magazine.